Home / Online games / Games Match 3 / Game "Sly cats 3"
Continue of Sly Cats 2 game and adventures of sly cats. Third advanced part of this funny game. Here you are waited by new unusual levels and many pleasant bonuses. Watch a milk bottle when it becomes empty at cats it won't be necessary to play and chase forces mice. 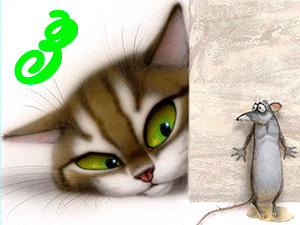 Play now online and catch all mouses!